Are you scared of looking yourself in the mirror? 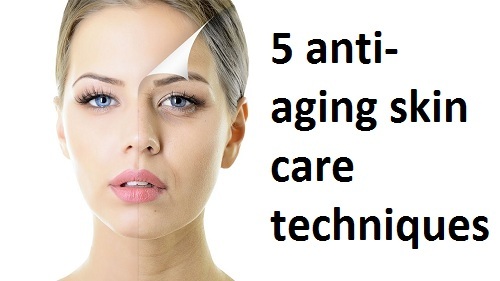 Are the aging effects running much faster than your age over your face? Then what are you waiting for!! Begin with the easy and quick exercises that can work fantastically. It has been noticed that most of us do not want to go for home remedies, instead prefer cures like face packs, creams and medicines which at times do not work so well and all you get is disappointment. But not to worry when we are the lucky ones to be bestowed with the charming wonders of nature. Hence, utilize them as best as you can. Moreover, there are no side effects of them at all. When we say, Yoga is one of the best ways to cure aging it means there is no doubt at all. Since uncountable number of years Yoga has been doing miracles in terms of curing one’s ill health, maintaining good health, enhancing overall personality, bringing beauty etc. So, why not to make the use of this best gift of nature!! 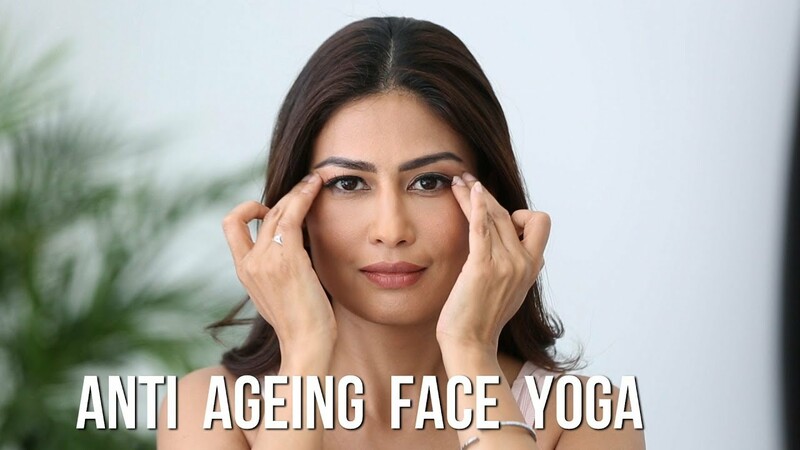 Begin your morning with these anti-ageing facial exercises and other yoga Aasans if you are fed up with the ageing effects or any health issues and notice the positive impact of these. 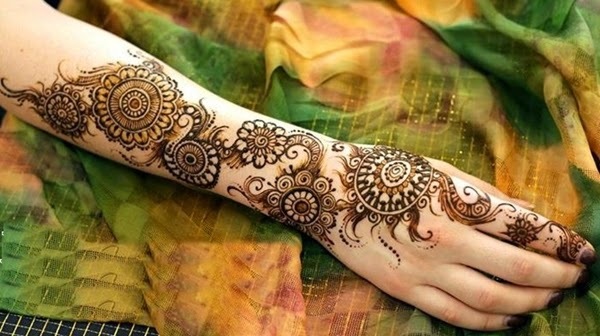 It is the dream of everyone to look smart, beautiful and cool. Without giving a second thought, we do whatever we are advised to, in order to attain a slim waistline, models like look and an overall perfect personality. We prefer going to gym, maintain diet and what not to get that look which has always been your first love but we result in ignoring the fact that it is the face that is first and foremost noticed. So, does it sound worth of having a perfect figure with a wrinkled face? Undoubtedly, not! Go through this detailed description given on the anti-ageing facial exercises which will not only maintain your complete look but also give you a wrinkle-free skin forever. The most appropriate time to perform these anti-ageing facial exercises in the morning time because this is the time when your body is fully relaxed physically and mentally. These will not only enhance your personality and look but will also help you to overcome aging. You will notice your body is filled with immense energy and gives you a fresh feeling altogether. Though earlier there were many doctors who opposed to the fact that these facial exercises are of any benefit in terms of removing aging effect. But slowly and gradually when these anti-ageing facial exercises started showing the results, they also took their words back and supported this fact happily. 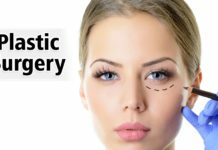 Logically, these facial exercises are successful in their job because our facial muscles are directly connected to our skin and so the oxygenated blood that is produced while doing these facial exercises enters and flows in the tissues of the skin properly thereby making your skin look young and vibrant as before. Here we are marking the words of Madam Rowland who laid down these wondrous anti-aging facial exercises who said “To maintain the lift, you need to devote yourself to the program’. The word program refers to this complete phenomenon of anti-ageing facial exercises. Whatever we do have logic, and it is essential for us to understand the same to justify your mind with the fact that you are doing it for a reason. 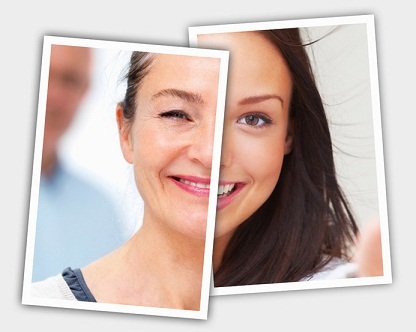 logic behind the facial exercises is as simple as, when the compression and relaxation of the muscles can give the shape and tome to your entire body which you generally acquire by going to gym, cycling or doing yoga then why cannot the facial exercises can tone up the facial muscles and make it wrinkle and aging free! Exercising in the right manner for the right body part will work similarly in the case of an entire body. Do not expect the results in a day or two give ample time exercising for your face as well and then anticipate for the desired results. At least give your bit to attain a bit. Chewing the gums is said to be one of the most efficacious exercises for anti-aging. Does not sound tough at all, right?? In fact, this exercise is something that you can do anytime and accompany any other work as well with it. You need not to spare particular minutes for this. Now the question arises, how does it helps and the answer is while chewing the gum there are movements in your cheeks and jaws in such a peculiar way which is best to get rid of aging impacts. In addition, this work out also enhances our overall facial expressions. As a piece of advice, do not perform this in excess as overdose of anything is always harmful. Also do it sincerely and slowly by implying the right amount of pressure on the cheeks. All you need to do is to make sure that you perform this exercise regularly so that the best results can be achieved as quickly as possible. The second exercise that stands second on the list of anti-ageing facial exercise is, tightening your eyebrows. The area of eyebrow is also one such place where the effects of aging are very much visible. With the increasing age, you will notice that the eyebrows loosen their steadiness and appear less in comparison to before. All this is the effect of aging but there is a solution to every problem and so does this. 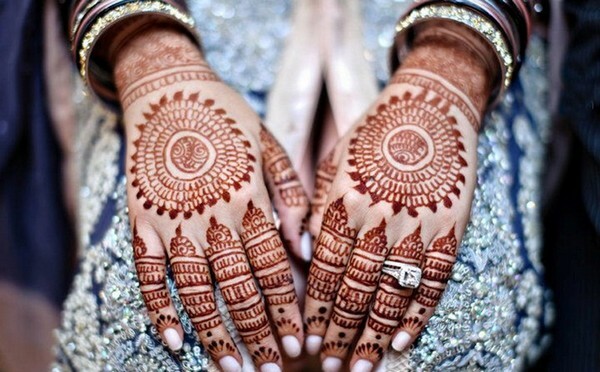 With the help of the tip of your fingers, hold the eyebrows from the right side and apply some pressure on them. Then raise them upwards thereby keeping the eyes broadly opened. Perform the same for both the eyes for about five times each for the desired results and see the magic. Also remember, while doing any exercise one’s mind and body needs to very relaxed else if your mind is somewhere else you won’t get the desired output of any of your efforts. Now, this sounds the simplest of all… one of the most frequent reactions that we perform in our daily lives. You just need to give a super surprising reaction, and that will be your anti-ageing facial exercise. The right way to perform this exercise is; broaden your eyes with eyebrows lifted upwards, open your mouth as you do when you are actually surprised, amplify your cheeks and widen your forehead too. This makes a perfect surprising reaction face. You are sure to get aging free forehead. The best part of this anti-aging facial exercise is that there is no limitation as to how many times you can do this exercise. Repeat as many as times it is easy for you to do. So, learn to be happily surprised even at small things and them watch how this effectively this work. Even if the situations do not demand the surprised reaction, you can still do so because it will be two in one for you. The action and reaction together! One of the most common aging problems faced by many especially the ones with heavy weight and min you, this is not at all easy to get rid of it. So, in order to figure up your chin and neck, this exercise is right one for you. Keep the position of your body and neck erect and then compress the lower lip over the upper one. Lift up the corners of the lips by smiling and then rub the rudimentary muscles smartly for four to five times by the help of your palms. Once you begin to realize the clue of strain on the below portion of your neck, stop immediately. Go for this exercise on daily basis to get rid of double chin as well as neck. Don’t give up without giving your hundred percent effort and come out of lazy zone to get the successful results. Since ages, yoga has been giving best results in terms of good health. One had always attained what one has wished by doing the necessary yoga regularly. Even the medicines have been failed to give results in the medical science at times, but yoga has always proved it’s worth cent percent. So, when the question is about performing the anti-ageing facial exercise, facial yoga will do wonders. It imbibes of some simple steps to perform: Stand erect with mouth opened and then take a deep breath. Now, with the closed mouth hold this breath for the maximum time you can. Once you are ready to relieve the breath, do it through your nose and this is all. For eradicating the aging effects, perform this facial yoga for about five to ten times and that too twice in a day. Such facial exercises can be practiced anytime of a day if your morning is fully occupied in house-hold works. You can practice these while listening to music, watching your favorite daily soap, talking to your children etc. A muscle names ‘Platysma’ colligate your jaw-line to that of your shoulders, so the laxation of this particular muscles results to flagging skin on the neck and also double chin. For this, you will need to sit or stand erect and then incline your head backside in such a way that you are looking at the roof. Let your head stay still for few minutes and with the help of your tongue touch the top of your mouth for about 25-30 seconds. This will lead to the contraction of muscles which you will able to feel by the minor tickling painful sensation in your neck. As soon this happens, slowly bring down your chin to the neck portion. You are advised to do this exercise for about five times a day and tone up your chin and neck elegantly. In addition to all these exercises in your daily life, do drink at least eight to ten glasses of water regularly. Water plays a very crucial role in maintaining your overall health and keeping the skin look young and shiny. You are sure to overcome aging as well with this nature’s gift. Whatever is your aim, to achieve it; one must be sincerely dedicated and devoted, and then no one can stop you from achieving what you wish. Next articleHOW TO PREPARE DELICIOUS & MOUTH WATERING DAL MAKHINI?